A TV farmer has caused a stir on social media after he posted images of a pregnant sheep after it was allegedly attacked by a badger. Martin Irvine, who appeared on BBC documentary This Farming Life last year, shared the photos on Facebook on Boxing Day. 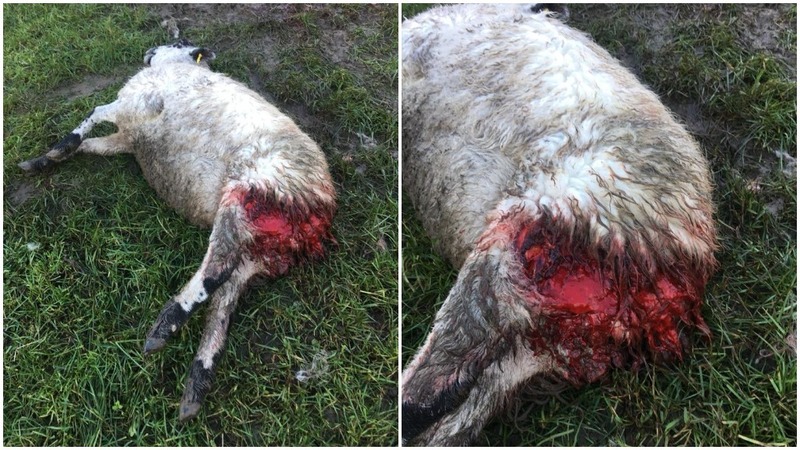 They show a ewe, believed to be pregnant, lying on the grass, with flesh missing from her bloodied rear end. 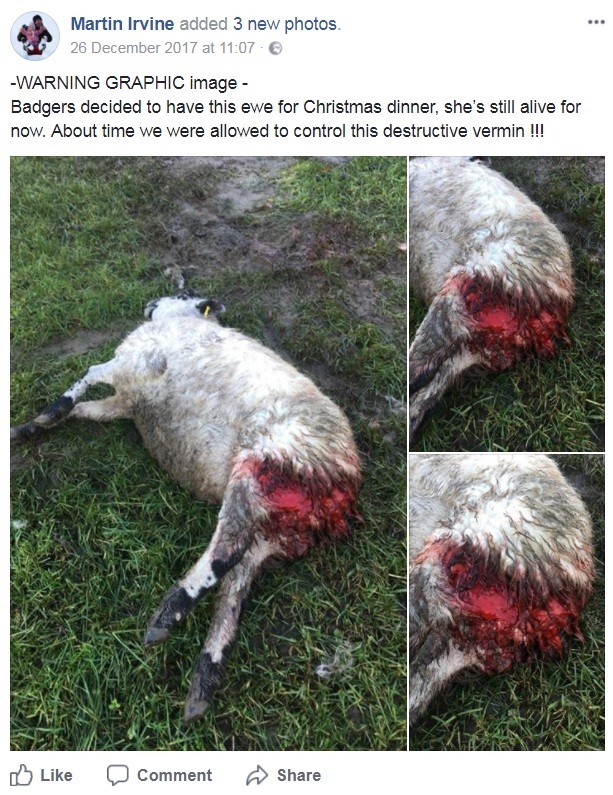 The Scot, who farms on a rented estate in Drummuir, Moray, wrote: "Badgers decided to have this ewe for Christmas dinner, she’s still alive for now. "About time we were allowed to control this destructive vermin. "We came across this ewe in the early hours of the morning to find a badger chewing her back end. "I’m guessing the badger never brought the ewe down but came across the ewe which was probably backed - nothing to do with ill health as she was fit and strong. "Badgers are a protected predator with no natural control. Their numbers are getting out of hand, and it’s my view we be allowed to control numbers to keep the balance." The post has been shared over 125 times and has attracted a mixed reaction from social media users. Fellow farmer Phil Stewart commented: "We are at the top of the food chain and we are prevented from stopping damage by these out of control animals that are causing extensive harm across the countryside. "NO good comes from an abundance of badgers!" John James wrote: "There are far more badgers around here than foxes. Protected status should be removed. "It will improve the health of the badger population and eventually save the tax payer money. Jennifer Milton wrote: "We had badgers take our lambs a few years ago, must of lost about 20 over about a week. By the end the body was intact, just the head and neck gone. "Also had similar to yourself, they ate the udder off the ewe and she was still alive when we found her." Eleanor Lancaster posted: "We recently had a badger have a ewe lambs back feet off! Caught on CCTV otherwise I wouldn’t have believed it!" However, some have questioned that the attack was by a badger. Gareth Rees commented: "It’s not the badgers that need controlling it’s the numpties who think that they should be protected. "Pity the cameras weren’t at your place now. But it would be edited out because the lovable badger wouldn’t do such a dastardly deed."